Never underestimate the power of a good demo tape. 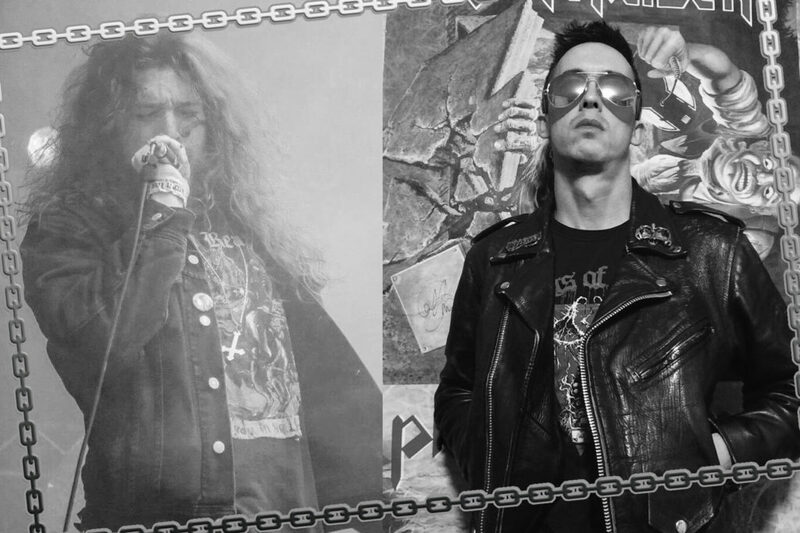 Ever since Metallica brandished their legendary “No Life ‘Til Leather” demo in 1982, the metal scene has actively sought out new and emerging bands through this simple, but effective medium. Even though the age of digital recordings and the convenience of the internet has removed some of the romanticism in creating and ultimately unearthing a hidden gem, the classic three-song demo tape lives on in 2018. Case in point: Finland’s Coronary and Canada’s Traveler, who have combined their respective debut demos for a split release via Gates of Hell Records. Like any good split, this particular offering provides the best of both worlds when it comes to vintage, striking classic metal. Coronary, who formed in Tampere in 2017, when a pair of Finnish metal veterans, guitarist Aku “Herr Lederwurst” Kytölä and drummer Pate “Batvik” Vuorio, reconnected after bumping into each other at a local flea market, strike first with their German-influenced, unvarnished take on freewheeling ’80s metal. 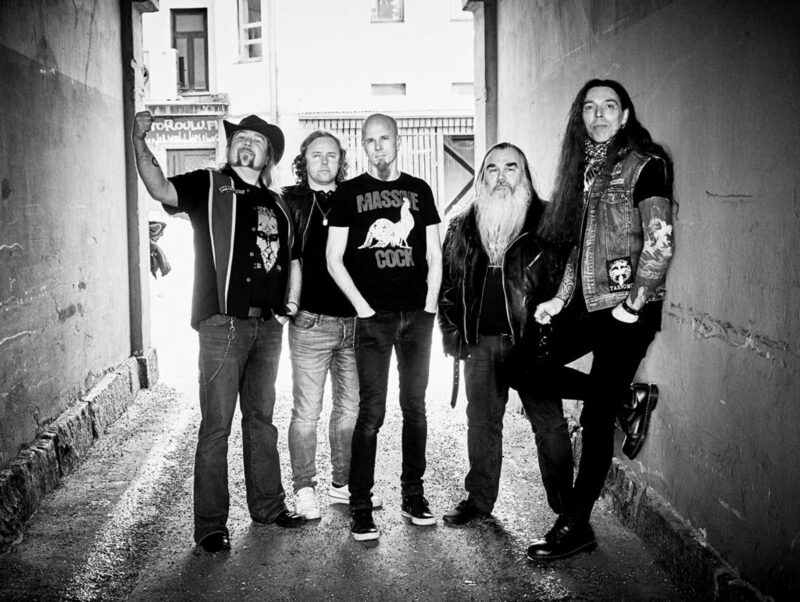 Flashy and spiraling leads emerge from every corner, while the dirty, rough-and-tumble vocals of Olli “The True Herman” Kärki, emerges as the necessary bridge between the band’s notable German/Euro influences that bringing back to mind bands like Accept or Torch and early 80s melodic American metal leanings. The 2017 creation of guitarist, bassist and primary songwriter Matt Ries, Traveler is rounded out by Gatekeeper vocalist Jean-Pierre Abboud and drummer Chad Vallier. 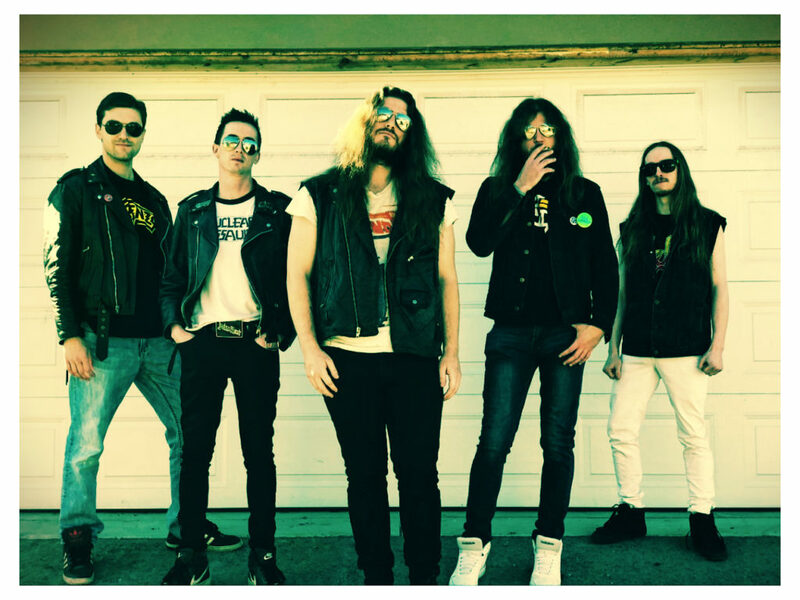 The band’s contributions to the split are marked by an up-tempo, almost relentless style of ground-and-pound metal, reminiscent of the best of Deaf Dealer and 80s Canadian classics going toe-to-toe with Iron Maiden. And, much in the same way he fits Gatekeeper like a glove, Abboud proves to be just as good of a fit in Traveler, becoming the perfect offset to Ries’s penchant for quick, rifling twin-guitar harmonies. A true metal battle rages across the frozen fields of Canada and Finland on the debut split release from CORONARY (Finland) and TRAVELER (Canada). Slated for a JUNE 2018 release via Gates Of Hell Records. The split will be available on Vinyl . Formed in Tampere in 2017, CORONARY was created when a pair of Finnish metal veterans, guitarist Aku “Herr Lederwurst” Kytölä and drummer Pate “Batvik” Vuorio, reconnected after bumping into each other at a local flea market. Upon realizing they both shared a similar vision of wanting to create a metal band that took its influences from the ’70s and ’80s, the two men set about to complete the CORONARY lineup, eventually securing lead singer Olli “The True Herman” Kärki, second guitarist Jukka “Doktor” Holm and bassist Jarkko “C-90” Aaltonen. Calgary, Alberta’s TRAVELER was created in 2017 by guitarist, bassist and primary songwriter Matt Ries, who in addition to his regular duties with GATEKRASHÖR and HROM, developed an itch to branch out with his own song ideas in order to have a fresh outlook on music. Joined by vocalist Jean-Pierre Abboud (also of GATEKEEPER) and drummer Jan Loncik, TRAVELER shacked up at Richobo Studios in Calgary with Loncik manning the production boards. TRAVELER’s up-tempo, pounding style puts the sound of RIOT and MANILLA ROAD on overdrive with a preponderance of soaring twin guitar harmonies and Abboud’s effortless, but always convincing vocal delivery. “The songs were inspired by an unhealthy mix of real life and fantasy,” says Ries. “Whether it be from the trials and tribulations we face day-to-day, or just pure exaggerated scenarios. I think these songs express that well.